In the spring of 2007, three homeschooling friends decided to finally do what they had talked about doing for some time: Open their own crisis pregnancy shelter. They believe their inspiration had come from the Holy Spirit a couple of years earlier—shortly after attending a confirmation ceremony at a local Catholic church. Theresa Rousseau, Chris Taraschke, and Kathleen Wilson had subsequently helped with the establishment of the Paul Stefan Home for unwed mothers in Orange County, Virginia, and wanted to open a similar facility in Fredericksburg, Virginia. They had to start providing shelter quickly, because they soon had their first client: the wife of a Chinese national who needed to return to China. Worried about China’s one-child policy, he asked Mary’s Shelter for help because his wife was pregnant with their fourth child. Turning to the homeschooling network, the fledgling organization raised the funds to house her and the couple’s children within one week. 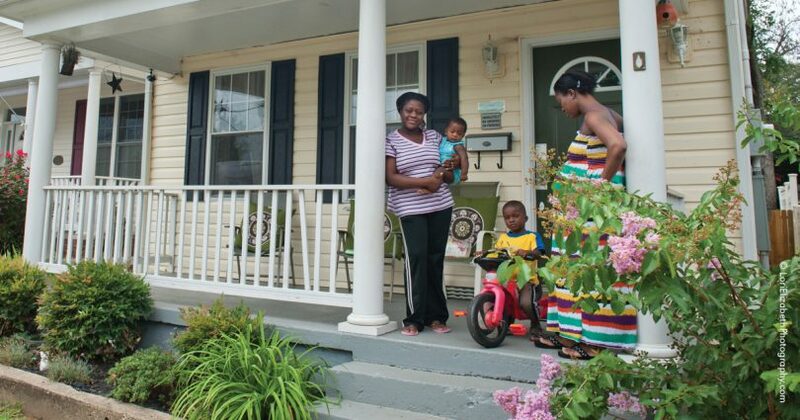 Now, with the help of many local churches; dozens of volunteers; and lots of hard work, dedication, and donations; Mary’s Shelter has grown to include four houses, all in Fredericksburg, that assist women in crisis situations who want to choose life for their babies and raise their children themselves. There was a woman in her car outside Planned Parenthood. I walked up to her . . . and I asked her, “What can I do for you?” And she looked at me and said, “What can you do for me?” I told her I could pray for her. I knew then that I needed to ask or offer something more. Mary’s Shelter is for women at least 18 years old and their children, both born and preborn. The shelter will not admit women with a history of physically aggressive behavior, but exceptions can be made on a case-by-case basis. Women with a history of substance abuse must prove they’ve been clean for a certain period of time, under the auspices of an established recovery program. There’s no “official” limit on how long a resident can live at Mary’s Shelter, but so far, no one has lived there for more than two years. Mary’s Shelter offers referrals for women who don’t meet its admission criteria, and it makes every effort to accommodate those who do, such as putting as many as four beds in a room when necessary. Residents must work hard to prove they deserve to stay at a Mary’s Shelter home, for life there isn’t just about handouts. Upon arrival, they must create a “self-sufficiency action plan” to determine what steps they must take to better themselves and their situation. They must also finish their schooling if they haven’t already, by completing a GED or technical training program, or attending college. That’s the first major step for residents, Kathleen explained: “You finish school, and you can figure out what you want to do after that.” Mary’s Shelter also works to provide access to tutors and other study assistance residents might need. All residents must sign and abide by the Mary’s Shelter Covenants, a list of rules that cover the following aspects of living at a Mary’s Shelter home: Daily schedules, child care, group programs, house meetings, curfews, use of sign-out sheets, overnight stays, visitors, bedrooms (cleanliness and orderliness), rising time, chores, laundry, meal preparation, television (appropriate content and viewing schedule), telephone use, outside activities, transportation, religious services, medication, smoking, drugs and alcohol, thermostats, alarms, house locks, fire drills, maternity clothes, illness, medical treatment, assisting other residents, personal belongings, grievance procedures, and sponsorship. According to the covenants, each resident must spend a total of 40 hours each week completing her education, working at a job, or volunteering. Residents’ schedules also include weekly in-house classes, Saturday evening speakers, mandatory job searches or volunteering, and monthly house meetings. One critically important rule is that residents must be dressed by 9 a.m., and eat and clear away breakfast by 9:30 a.m. Some of the women have never had any structure in their lives, so this rule—along with the others—helps to give them the direction they’ve never had. And it’s great to see this in action! What if a resident proves incapable of following the rules? A few gentle nudges usually solve the problem. But if not, she’s asked to leave. And sometimes residents choose to leave on their own. Residents are expected to pay for all of their own food and personal supplies (such as laundry soap and toiletries). Mary’s Shelter helps them provide for such needs by allowing each resident to earn monthly points for many reasons, such as keeping their rooms clean, making their beds, going to school, working, volunteering inside the shelter, or babysitting another resident’s children. Residents can use their points to shop in the supply room, which is filled to the brim with baby clothes, diapers, laundry soap, blankets, and all sorts of other supplies the mothers need. If a resident doesn’t do her share to help out in the shelter or be productive in other ways, she loses the points she would otherwise accumulate. The point system also enables employed residents to build up savings that can be used to achieve important goals, such as becoming independent. The residents deal with difficult decisions and realities each day. For one, it’s a court fee from four years ago that keeps her from getting her driver’s license. For another, it’s $2,000 in behind-schedule loan payments. Difficulties like these are but two examples of problems that can prevent a woman from getting back on her feet, by making it impossible to get a job, find a place to live, or even drive a car. Mary’s Shelter helps its residents address these setbacks. Staff members dream of a day when they can do more than finance the residents’ immediate survival needs. They would like to offer tuition assistance for college, a car they if need it, or the money to pay off fees and debts that are blocking progress. Once they decided to start Mary’s Shelter, Kathleen and her partners quickly decided to operate without overhead expenses. None of the staff or volunteers are paid, and each time a woman applied for residency, the staff approached a local church to seek financial sponsorship for her. Once they knew that all of her costs for a year were covered, they allowed another woman to apply. And it grew from there. Currently, Mary’s Shelter houses 12−14 women, along with their children. Seventy-five cents out of every dollar go directly toward supporting and working with the residents, and the rest is used for taxes, rent, and administrative fees. Dozens of men, women, and children devote their time to Mary’s Shelter as volunteers. From leading the book club to organizing the supply room, there’s a niche for every kind of work. And local churches and school groups help with remodeling the homes, raising funds, and providing resources. One young lady makes rosaries and key chains, which are sold to raise funds. Recently, a local chapter of Students for Life of America held a diaper drive that filled the supply room for many months. SFLA also gave Mary’s Shelter an award at its 2012 national conference. Volunteers are limited only by their level of commitment and their abilities. There’s plenty of both among these dedicated supporters, who are living examples of Christ’s love for all people. To help prevent burnout, the volunteer coordinator holds monthly “coffees,” at which she also reviews what is required of volunteers, including upholding and following the covenants signed by the residents. In addition to sponsorship by churches and other entities, Mary’s Shelter is supported by individual donors, its annual Summer Soiree, and special events (for example, an arts-and-crafts benefit held in November). This year’s soiree was held in August, and all of the costs were underwritten by many local businesses and churches. The event was fully booked, with a total of 480 attendees, which, according to Kathleen, didn’t even include all of the “normal supporters.” That, my friends, is impressive! The speakers included Lisa Kratz Thomas, motivational speaker, author, and radio talk show host; Kristan Hawkins, president of Students for Life of America; David Bereit, national director of 40 Days for Life; and Ken Cuccinelli, attorney general of Virginia. I was a victim of multiple rapes when I was younger. Part of my healing process was volunteering at Mary’s Shelter with the residents. The staff trained me to be a counselor, and I will always be grateful for what they did for me and what they do for the women. I love that Mary’s shelter is … addressing the need of not just saving babies’ lives, but of actually helping mothers say yes to life every day—before their babies are born and afterwards. They teach mothers not just that life is sacred, but how to care for the little lives they bring into the world, in a way that respects their dignity as persons, so that these little people can grow up knowing that it is good that they exist, which … is essential to their being able to practice true charity towards others throughout their lives. David Bereit said, “I have been to over 400 cities in the US, and I have never seen a shelter like Mary’s Shelter.” Most of the more than 100 alumni of the Mary’s Shelter program have found jobs and housing after their stay, and have become contributing members of society. All have obtained an education and a new, healthy sense of self. Mary’s Shelter staff and volunteers impress upon the residents the importance of fulfilling their obligations as mothers, and women who have multiple children discover and develop their ability to care for their entire family. Many of the alumni have gone on to marry and have more children. David is right. Mary’s Shelter is unique, because its staff, volunteers, and residents make it that way. 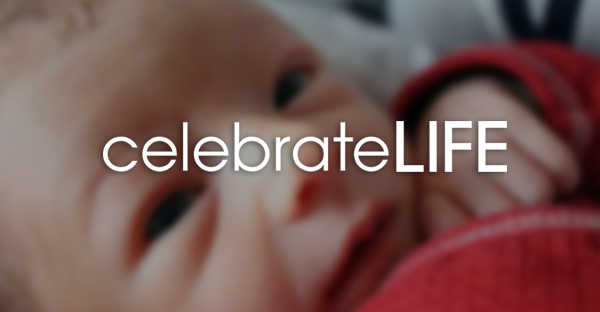 Jessica Kenney is the former associate editor of Celebrate Life Magazine. She works from home, where she raises two sweet boys with her husband of 12 years, Art, whom she loves very much.